In this 4 week class, I will be teaching you copperplate calligraphy- a traditional, foundation style of script. We will meet weekly for a total of 4 evenings in May, from 630-830pm. Learn how to use your pointed pen tools, basic strokes, and create each lowercase and uppercase letter step by step! We will also begin joining letters together, write words, and go over tips and tricks to help you avoid common mistakes. Each lesson will build on what was taught the week before. You will be given drills to do at home during the week to help reinforce the lesson and give you guided practice! You many wonder, is this class for me?! 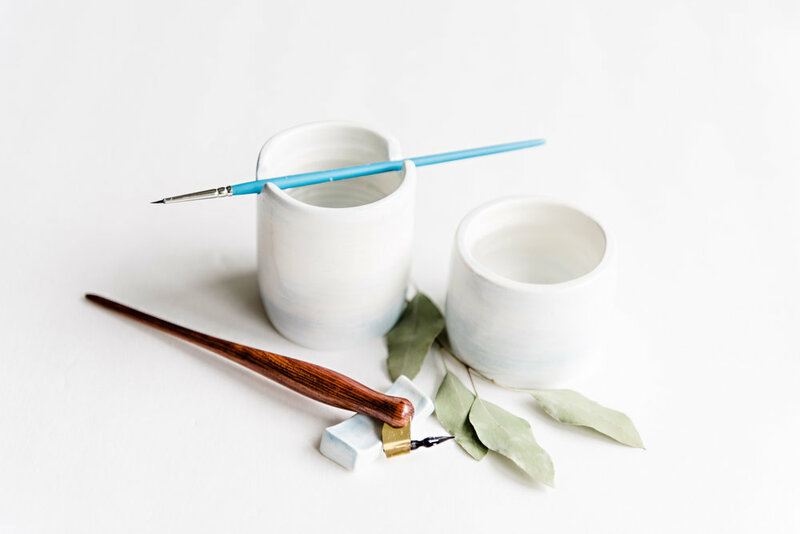 If you have never held a pointed pen before, or have dabbled, but really want to learn how to improve your technique, this class is for you! 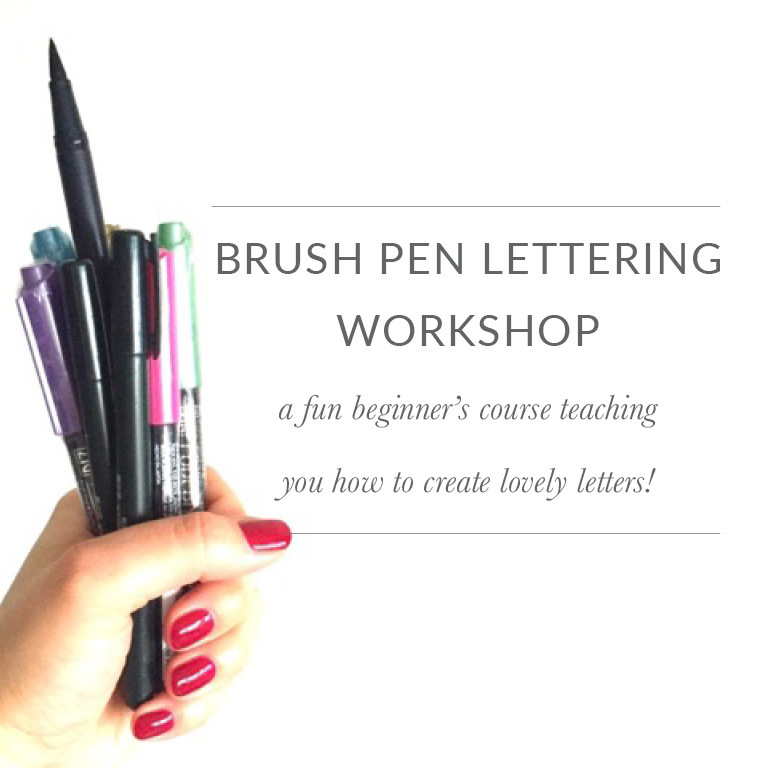 It is a beginner course, and by the end you will know how to use the pointed pen, and create beautiful letters! Oh, and don't worry if you don't have pretty handwriting! This is TOTALLY DIFFERENT!! You CAN learn calligraphy, and I will be there to help you a long the way! Cost: $230 per person. Includes all supplies plus a HANDMADE PEN HOLDER!!!! It's time to learn the capital letters! This class is perfect for those who have taken my Intro to Copperplate Calligraphy Part 1 or have previous experience with pointed pen calligraphy. In this 4 hour class, we will go over practice drills to train your hand, the breakdown of each capital letter, and use metallic and gouache ink to incorporate into your work! At the end of this class, you will use your calligraphy skills to create a little piece of art that is yours to keep! Start making lovely letters!! In this 3 hour class, you will learn warm up drills, basic strokes, upper and lower case alphabet, and how put all of those skills together to write beautiful words with a little bounce! I will show you some fun techniques to apply in your lettering, and you will create beautiful letters and words in your own style! You will also receive some AMAZING brush pens to take home and continue practicing as well as the MarisaMade Brush Lettering workbook!